We're so excited for our first mention on Eater Nashville's Heat Map! 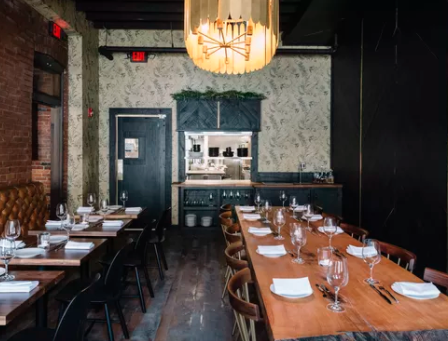 This Germantown restaurant and bar housed in the former home of a 118-year-old blacksmith shop just opened in mid-March, serving up dinner and offering a new Sunday brunch option. Executive chef Josh Stockton's midday menu features their signature 'Geist burger,' along with a variety of other dishes including the hearty 'Blacksmith Breakfast.' And while brunch is not technically served on Saturdays, you can get the burger and fries all day long.